I make my way to the metro, backpacker-style, without even considering the possibility of affording a cab. As the metro paces underground, we are hit by smells best described as rotten – coming from a developing part of the world, these aren’t alien, but in the world’s most romantic city you expect nothing less than a bed of roses. Determined to discover a city that has charmed so many people, I check in at my hotel and decide to walk the streets of its suburban neighborhood before hitting the major attractions. I’m compelled to stop and admire the architecture of the simplest of constructions, and the care & precision that reflects in their ancient foundations till date. I’m instantly drawn into a boulangerie, even at this afternoon hour, and delight in my first real French croissant. Images of the Paris I had dreamed of come flashing back. I make my way back to the metro, this time undeterred by its deteriorating state, and excited to explore the city’s much talked about wonders. Before I know it, I am indeed strolling along the River Seine. Only I hadn’t anticipated the swarms of people who’d be strolling alongside me. I marvel, now at the Notre Dame, now at the Louvre, now at the queues at each, now at the omnipresent flashing cameras, now at the countless stalls selling fake-looking French baguettes. Oh look, I have my own picture of the Notre Dame. I grab an ice-cream to cool off from the crowds, and walk to the Eiffel Tower, only to be greeted by more queues & countless Eiffel Tower tours. I strain my neck upward, partly to admire the massive architectural brilliance of the metallic structure, and partly to ignore the persistent street sellers selling key chains and miniature versions of the Eiffel Tower. I fulfill the customary photo-taking criterion and walk away. Just like that, my grand illusions of Paris are crushed one by one, like a giant man trampling on little samplings in a garden that everyone dreams about strolling in. Not even a walk down the Champs-Élysées, perhaps the world’s most expensive fashion street, can revive my enthusiasm for the city. My inability to speak the local language adds fuel to my fire, as time and again, many locals look cross for trying to initiate a conversation in English. I begin to think of Paris as a hugely successful PR campaign; if you don’t enjoy sightseeing in Paris, you are not classy or sophisticated enough. 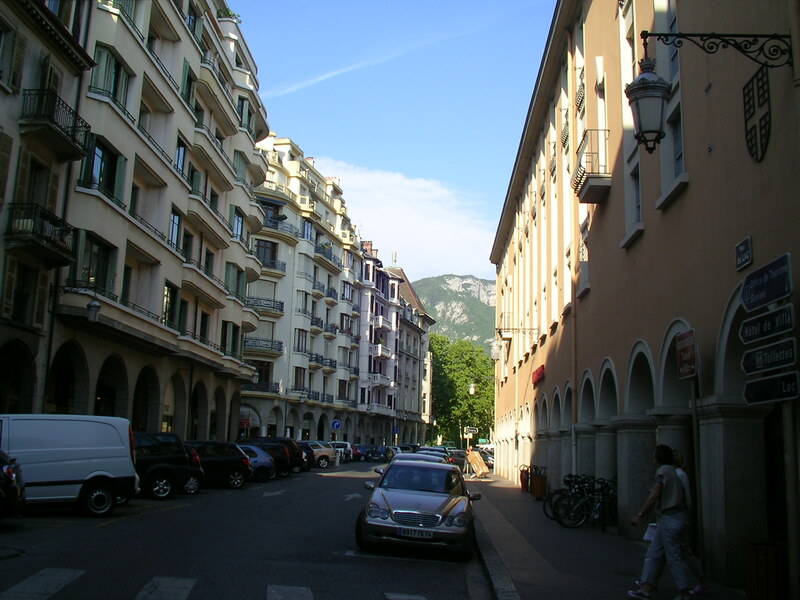 I decide to salvage my next day and leave Paris for Annecy, the next destination on my itinerary. Perhaps I can blame my far-fetched imagination or the lack of a common language, but try as I did, I couldn’t see what makes Paris such a romantic city. 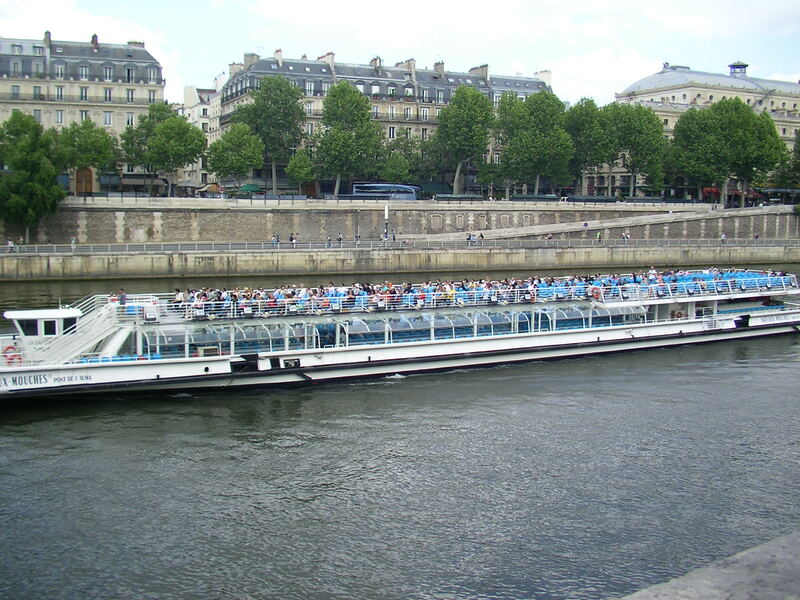 The tourist boat sails along the River Seine. What about you? Did you honestly fall in love with Paris or did you just pretend that you did? tThe 1st 3 times I went to Paris, it rained everyday. Sometimes, it takes awhile to fall in love. You should stay longer and definately come during off season. You will be amazed at the difference. If you can stand the cold you will find no one in line for the Louvre or anything else in January and it’s magnificent all over the city. I hope you give Paris another chance. All famous cities are like this when it’s crowded with tourists and locals can get irritable. I can imagine that the January isolation will be beautiful. But perhaps the point I couldn’t make is that, I couldn’t find anything that makes Paris more romantic than other European cities – they’d be gorgeous in the winter too I assume. This is a very interesting post.. and goes against all the stereotypes we set for ourselves. On my Eurotrip, I didn’t enjoy Paris much.. it was crowded, touristy and somehow, very alien – whereas I absolutely loved Berlin, a city with definitely not a romantic image like Paris.. Similarly, I didn’t find Venice romantic at all, but loved Florence! I loved Paris when I was there. Almost stayed over longer to be with the waiter I met on the last day of our tour, but–alas!–did not, given no money and boyfriend waiting at home. But the city was a delight. I do love Paris. I have just had a week there. You must go when it is not so busy – please give it another try. Annecy is gorgeous. Annecy is gorgeous indeed. Maybe if I do plan another trip to Paris, I’ll get some recommendations from you. Definitely avoiding the major attractions this time! When people come back after Europe tours they go ga…ga over it. Your post is different…..Like the way it is written. I’m ga ga over Europe too. Its countryside is really beautiful and peaceful 🙂 But yes, I can’t see why people go ga ga over a city like Paris. I think the key to Paris is to explore the city itself. Rent an apartment for the week instead of staying in a hotel or hostel. Visit the local markets. You don’t have to go far – just a street or two off the main streets is enough to discover great little restaurants! Crowds are tough wherever you go, but I think that the sights of Paris (Eiffel Tower, Louvre, Notre Dame, etc.) really live up to expectations versus other world famous sights. Big Ben & the Leaning Tower of Pisa pale in comparison to the Eiffel Tower. Even the photos you took on a cloudy day are stunning! Finally, I’ve always found the people in Paris to be quite friendly. Just starting with some broken French cribbed from the “French Phrases” section of any guidebook I’ve found will elicit a smile and a response in English. I’ve been lucky enough not just to get directions & suggestions, but have been personally taken to my destination without asking numerous times! Parisians are friendly – you just have to show you’re trying to communicate in French! So please, please, PLEASE give Paris another chance – it’s one of my favorite cities in the world and has a quiet splendor like no other! When you put it like that, I think I should try convincing myself to give it another try. I became so averse to crowds after Paris, that I refused to visit any other European city (except Amsterdam of course). The countryside was worth skipping everything! I think u didn’t give paris enough of a change to charm u….1 day is just not good enough. I have visited many places in europe but nothing came close to my exp in paris. U need to catch hold f a local nd live in an apartment fr a while nt just a day in a hotel or maybe travel there in off season. I had the same experience when I went to Rome. I had high expectations of the city but I guess expecting too much lead to disappointment. I didn’t feel the “ooohh” and the “aaaahhh” I thought I’ll feel so I decided to leave early. But again, travel is both about the place and the experience – and it’s often the latter part that counts more. My advice? Give Paris another chance! Maybe you’ll have a different view point next time! I’m glad I skipped Rome then 😉 But you’re right Jerick, maybe I’ve been too quick to judge. After reading all the comments on this post, it’ll only be fair to give it another try. Will you give Rome another chance? I had very high expectations for Paris and I must admit I too was disappointed. I had dreamed of an immaculate and sophisticated city but I was met with drunken Parisian teens, dirty streets and prostitutes working mid-morning. It shattered the image I had seen in the movies! However, I would be willing to give the city another chance. Maybe now that I know what to expect I’ll be able to get past the underbelly and enjoy the city for what it is. 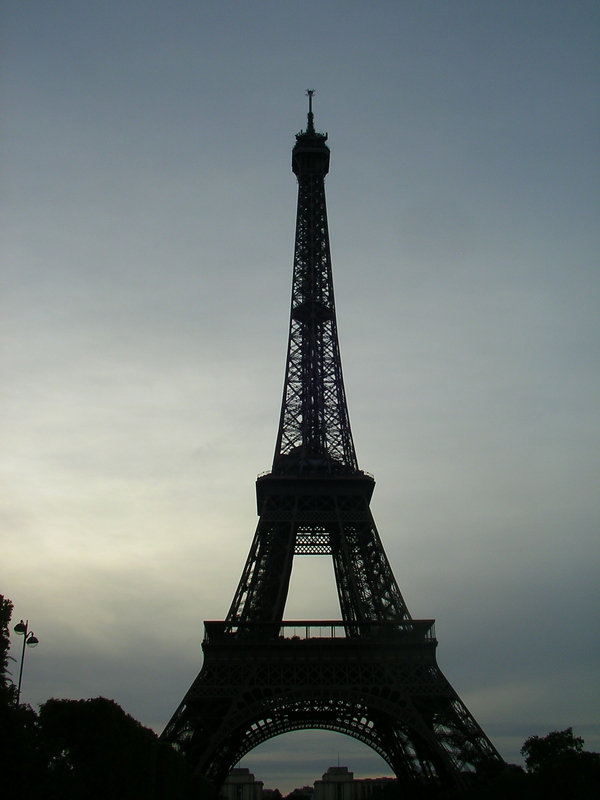 I’ve been to Paris three or four times and all in different formats. Once when I was young with my Dad on a business trip when all I really cared about was Euro Disney. 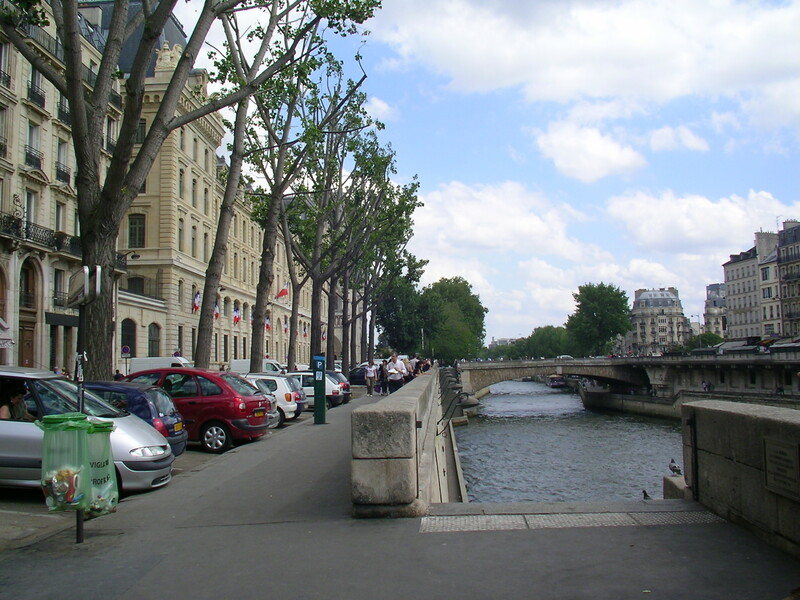 Then from College I was there with a friend for an extended weekend, exploring Paris backpackers style. I even did a one day car trip to Paris from Germany. So yeah I like Paris, although not so much as a “romance” capital. I do love walking around and just exploring the place and it is a real beauty because of the art, culture, fashion, and overall feel. In the end though, it is also a mentropolitan city like any other major city of the world. 1) We live in a state of Mexico where nature pays off the lack of tall buildings and majestic architecture such as the ones in Paris. Once again, we’re not marveled by landscapes of desert united with a coast and amazing sunsets, but the architecture in Paris definitely made our jaws drop. Let’s not even start with The Palace of Versailles. 2) It was our first trip to Europe. We had been in a few major cities in Mexico and mostly L.A., Las Vegas, Phoenix and Tucson in the U.S., so being overseas for the first time may have influenced on our experience. 3) We arrived there in the last days of November, so that gave us a chance of not meeting the city with so many tourists (“so many”, because we still think there were A LOT). 4) I traveled with my husband. However, I would have to say I didn’t find it that romantic; we did kiss every now and then, but most of the time we were looking at everything else surrounding us. In brief, I think the impression and level of crush you get from Paris has in many ways to do with your background, where you’re from, who you travel with, and even how many movies you have seen about it! Hello everyone ! I have been to Paris 6 times!!!!! I fell in love with Paris at first sight !!!! We stayed in the 7th arrondisment at the Paris Hilton !! I could see the Eiffel Tower from my balcony !!! We went to eat at Brassierie Rive nearby. The food was spectacular. We had the fixed price meny for only $21.90 !!! Onion soup, steamed salmon with pasta and a flan with strawberry sauce !! Fantastic !!! I love to stay in the left bank ! Last time I went we stayed in the right bank and I found the streets dirty and smelly !!! I also go at the beginning of June when all roses are in bloom and the weather is fantastic ! Blue skies and no rain ! I guess I love Paris and Paris loves me !!!!! I dream of Paris everyday !!!! Haha…its called the paris syndrome. I hope to go to Paris someday and try not to feel disillusioned. A single girl travelling to Paris – Is it safe ? What is your experience ? Where should one stay – area / hotel you recommend and also is 10 days good enough or too long ? What is a budget one should keep apart from accommodation for basic sightseeing and an average trip. Your views will really help. Just before I left for Paris, I read this post. I was worried. I was apprehensive. Some how, it seemed- either I will love it or hate it. All past travelers, bloggers- I mean everything, everyone said the same. There was no mid way. Either you love it or hate it. I panicked. I thought, everything would come crashing down. I thought, I am falling in for a marketing gimmick. Yes, I thought so. I was apprehensive. Turns out, it’s true. But there’s just one change- I fell in love with city. 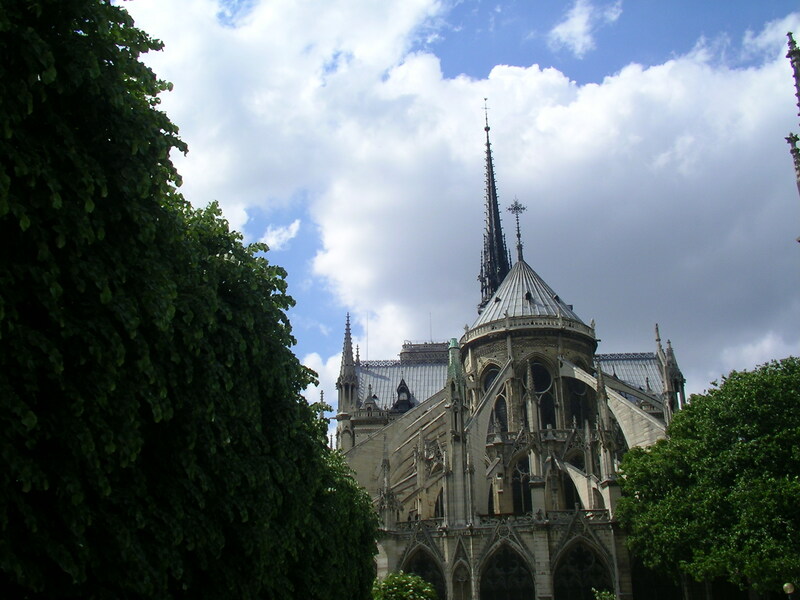 The Eiffel tower, the people, the streets, the street cafes, the grandiose museums, the history, the modernistic life, the gorgeous cemeteries, the delicious wine-tasting sessions- oh man! It’s always interesting to hear how Paris makes you feel. Am sorry to hear it was a disappointment for you. I am generally quite critical of touristy places and Paris was never really my dream. It was my friend’s wish, who I did a Euro trip with this summer. And I am very happy to say that Paris was not one of those overrated destinations. I traveled during peak tourist season (May) but it was still one of the most overwhelming cities I have been to. I should mention here that we chose to keep the Eiffel visit at the very end of our trip. And we almost missed seeing it because of packed schedules! We were literally running at midnight in the metro at Trocadero to catch the glimpse of the Eiffel before the lights went out. And guess what? It was the best thing that could happen – going to it at the closing hours. We had the Eiffel all to ourselves with no queues. We didn’t go up the Eiffel, just being below it and gaping at its magnificent ascent into the night sky was enough to make us breathless. It is not overrated. It is the first man-made wonder which can compete with a natural wonder in terms of beauty. Maybe my experience was also shaped by the fact that there were no irritating touts or crowds around us, thanks to the hour we visited it at. But even through the other days we were in Paris, around other famous places like the Palais Garnier, Sacre Coeur, Moulin Rouge, Louvre…we were still finding each corner and each street, enchanting. Despite the touristy nuisance which I agree is very much present in the city, Paris is isolated in time and always entangling you deeper into its web of mystery and underlying enigma. Hope it calls you back some day, just like it did to a non-believer turned admirer – me. I do not blame you completely for not liking it, however, having said that, its a major city and you have to expect crowds. Also, ,coming from India, I just think we can handle crowds better than anyone else. The Cubicle Traveller had an 11 hour layover in Paris and I will talk about it soon, however I also had an entire day in Venice with similar crowds and street sellers, which I agree are the most irritating thing, however you surely can overlook that. Milan was a similar experience like yours in Paris. Hordes of people everywhere, and like your ice cream, a gelato helped me cool off. Been to Paris, usually in the summer; tourist peak season! 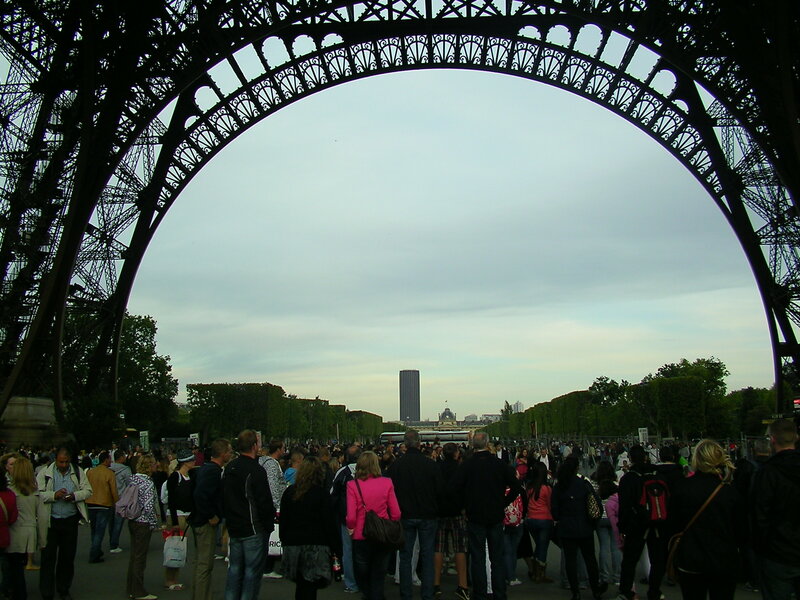 I usually travel around as if I was a local–take the metro, walk, check out the small shops and stores, quickly sneak into a boulangerie or a patisserie, spend the afternoon until evening picnicking at Champs de Mars. Yes, for the most part the city smells putrid because of some irresponsible people, but the city cleaners are doing a helluva good job cleaning after them. Expectations of Paris can easily be a cliche, but you will mostly feel the “romantic Paris” in the evening, when the lights are dimly lit in that warm orange glow. Best to explore the city during this time (with a group of friends of course, never alone, oh my!) Drop by the local Monoprix and grab a bottle of wine before going back to your hotel/hostel/airbnb. Yep, I still love Paris! Previous Post4 Unlikely Travel Books to Inspire You to Travel. Next PostThe Silk Men & Women of India.